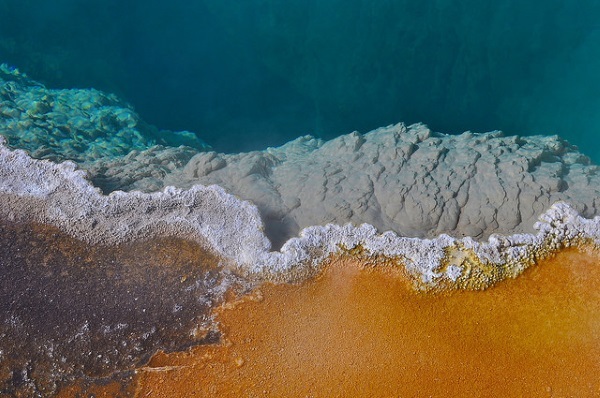 Microbial mats composed of bacteria, algae or other micro-organisms make these otherwise minuscule creatures visible – often brilliantly – to the naked eye. 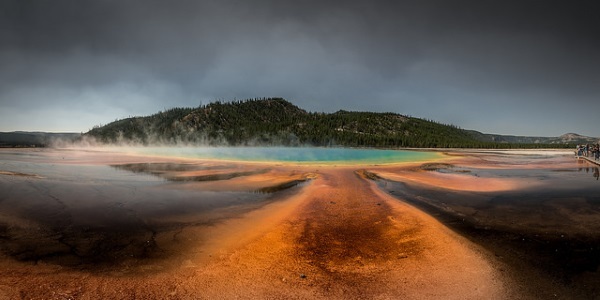 Flickr user Bernd Thaller captured this exquisitely sunlit bacterial mat and pool at Yellowstone National Park on July 12th of 2008. 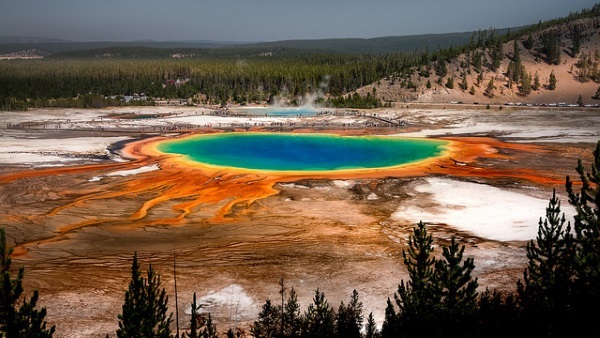 It’s no surprise how the park’s Grand Prismatic Spring got its name. 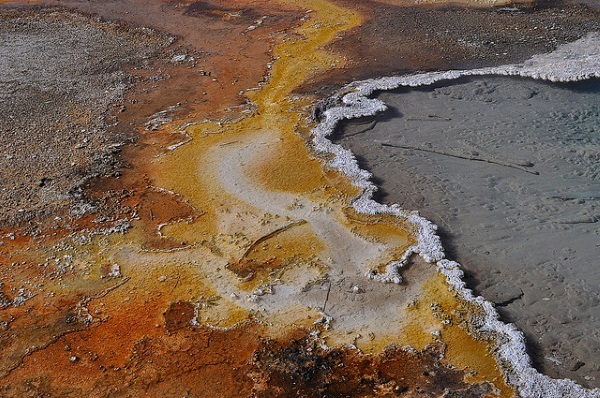 The sulfurous, acidic and blisteringly-hot waters of volcanic hot springs are inhospitable to most forms of life but they’re positively a playground for certain types of “thermophile” (heat-loving) bacteria. In fact, the lack of competition helps them thrive while treating us to a beautiful and colorful view! 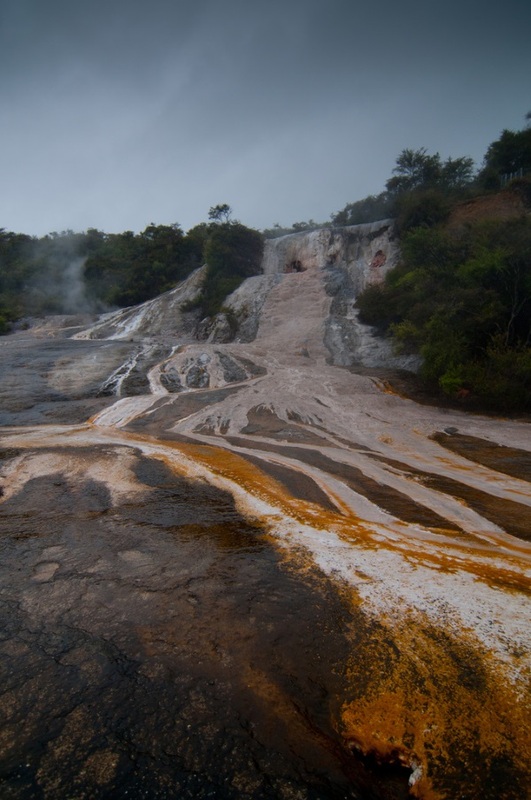 The otherworldly scenes above, snapped by Flickr member P Hansen in December of 2011, showcase colorful microbial mats in the hot pool at Orakei Korako Geothermal Park on New Zealand’s North Island. Odd that Yellowstone Park’s name seems to reference only one specific color when the park offers a virtual rainbow of vibrant shades. 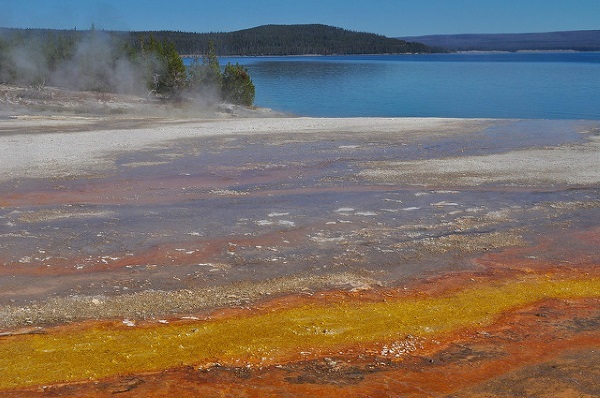 Though yellow features are abundant, orange takes pride of place when it comes to the bacterial mats surrounding some of the region’s geysers and hot springs. Some images, such as those captured by Flickr user K.Kendall, exhibit astonishing structural details.